Although the basic premise of comparing Handel's 1708 Aci, Galatea e Polifemo with his 1718 Acis and Galatea is somewhat flawed, the three-part Handel event presented by Paul McCreesh with his Gabrieli Consort & Players at the Wigmore Hall was informative and enjoyable. The problem with the premise and promise of comparison is that, apart from the story (apparently taken from Book 13 of Ovid's Metamorphoses), the two works have little to do with each other. As the librettists, language and music are entirely different, the comparisons available are those between works from Handel's Italian versus English period, furthermore between two substantial Handel compositions written ten years apart. However, it is likely that many of the audience who attended both performances – and the somewhat light hearted conversation delivered by Catherine Bott and McCreesh in between – were looking forward, in vain, to compare similarities and differences between two versions of the same work. Although scholarly, the beautifully printed programme notes included some confusing elements and lacked some information which might have been of interest to those wishing to explore further. For instance, in the Introduction to the programme notes we read that Acis turns into a cool spring only in Ovid, yet this is indicated in both libretti. There was also no explanation as to why the performance of Aci, Galatea e Polifemo started with the Overture to Agrippina. Handel did not disappoint. Both compositions were extensive, exciting and beautiful. The latter two adjectives characterised both performances although, for me, the quality of the singing was flawless in AG (Acis and Galatea) while there were a few blemishes in AGP (Aci, Galatea e Polifemo). However, the fact is that AGP is relatively rarely performed – so perhaps the singers were new to their parts? – while AG belongs to the standard repertoire of (baroque) singers. It is also possible that the vocal writing is even harder in AGP than in AG, indeed the part of Polifemo covers two and a half octaves! I hasten to add that Christopher Purves, the only singer who participated in both performances, delivered to perfection. He was the giant as per the story, but he was also a giant as a performer. Purves' stamina, vocal control, musicality and acting should be studied by all future Polifemos and Polyphemuses. Gillian Webster (Aci) occasionally under pitched some of her difficult high notes, while Barbara Kozelj (Galatea in AGP) sometimes projected her singing into her music stand, which stood a bit low for comfort. Nevertheless, both ladies delivered sincere and enjoyable performances. Mhairi Lawson's vocal colour and personality seemed perfectly suited to the part of Galatea (AG) and James Gilchrist was a full-blooded and virtuoso Acis. The remaining parts of Damon and Coridon (both in AG) were excellently delivered by Jeremy Budd and Nicholas Hurndall Smith respectively. Although the small stage of the Wigmore Hall was packed to capacity by the Gabrieli players, the singers – also on stage – managed to deliver truly theatrical performances. Imaginative props costing nothing – such as a bunch of flowers, a wine bottle and a greeting card – served to aid (very successfully) the narrative. Eye-contact between the protagonists and convincing facial expressions enhanced the vocal characterisation. In short, we had superb drama on stage without expensive stage directors and a costly staging. The musicality of the performances was greatly aided by the Gabrieli Players who were unobtrusive, perfectly balanced but also virtuosic when called upon. When it was their turn, the solo violin ('Qui l'augel da pianta in pianta', AGP) and the solo cello ('Must I my Acis still bemoan', AG) supported the musical content (rather than seizing the moment for momentary stardom as happens so often in other groups). Touchingly, the virtuoso recorder player lady – standing center stage – even looked the part (of a bird) during her instrumental dialogue with Galatea ('Hush, ye pretty warbling choir', AG). The trumpet players (AGP) – standing in the two side doors to the stage – did not overpower but, nevertheless, shined aurally (as well as visually). 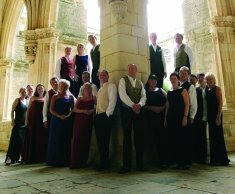 Unlike many other early music groups, the Gabrieli do not make a visual fuss of their baroque style playing with which they fully support the integrity of the music. The singers, standing in front of the stage, did not see conductor McCreesh or his orchestra yet there were no problems with ensemble precision. They listened! As, indeed, the players too really listened, thus allowing McCreesh occasionally to stop conducting and to give way to intimate chamber music moments. The chorus, that is, the five solo singers in AG, delivered one of their numbers – 'Mourn, all ye muses!' – without the conductor or any of the instruments: it was ensemble work at its most magical. 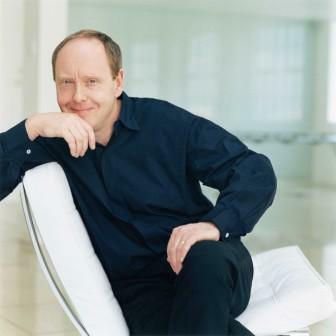 No doubt the credit for such overall musicality goes largely to Paul McCreesh. Although I found some of his tempi a bit driven, I am delighted to have taken part in this Handel/McCreesh experience.